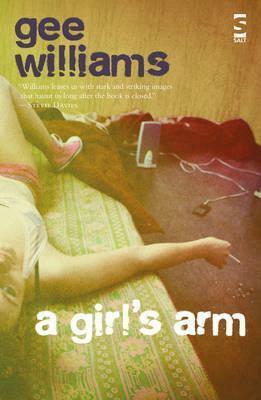 A Girl's Arm is a collection of stories homing in on the pressure points in the lives of its characters. Although a mixed bag from a variety of backgrounds - an apparently nerveless woman rock climber, a young classicist on the academic make, an estranged son just dropping by after many years - with a couple of exceptions they would be classed as `ordinary'. The stories focus on that single extraordinary event from which the course of his or her particular narrative veers off and they are offered the chance to become what they were meant to be. It can lead in many cases to prospering after aridity, or as in the title story, to a demonic hatching. Gee Williams was born and brought up on a North Wales council estate. Her first paid employment (at 12) was for dodgy horsedealers - wonderful training amongst the best fictioneers on earth. After studying literature she went on to lecture. She began as a poet but turned to fiction and drama for BBC Radio 4. Next came editing and reviewing, literary journalism and radio broadcasting. She has lived in various parts of Britain, moving with her physicist husband.